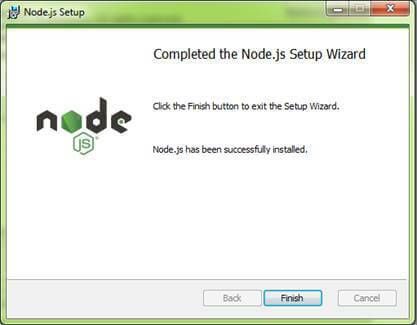 This article explains how to install Node.js in a step by step way. 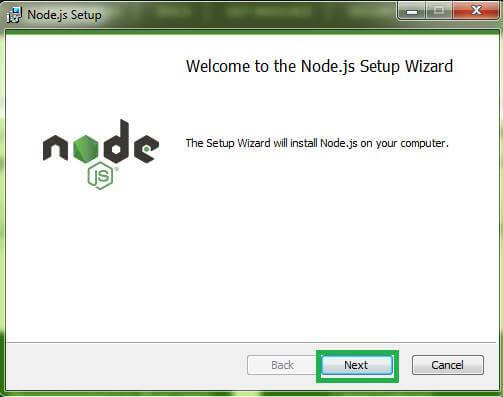 This article explains how to install Node.js in a step by step way. We need to follow these steps to get Node.js installed. First, we need to install Node.js. Go to the Node.js website using the URL https://nodejs.org/en/. We have two versions of node.js. One is “Recommended for Most Users” and another one is “Latest Features”. No one recommends the latest feature because of ongoing bugfixes and testings. We need to click “Recommended for Most Users” and save the Windows Installer Package. Open the corresponding saved path and double-click the Windows Installer Package and click Run. Now, Node.js setup window will open. Click Next and the node.js window opens. Click “I accept the terms in the License Agreement” and again click “Next”. Select the location to install node.js on our machine and click Next button. Select the way you want features to be installed. Now, we have selected “Node.js runtime” and clicked Next. Finally, click Install. After clicking, an installation setup wizard window will open. It takes a few minutes to complete the installation. Click Finish button after it is installed successfully. We can check whether node.js is installed successfully or not. Open “PowerShell” widow and type command as “node -v”. 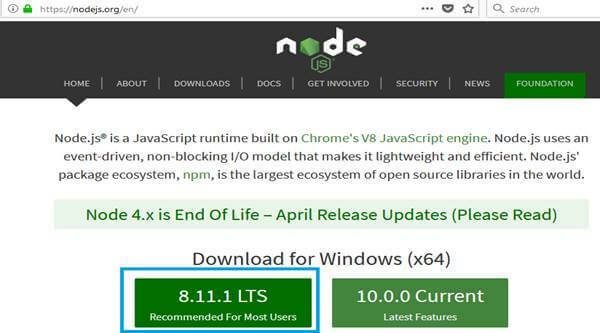 After executed successfully, we get node.js version “v8.11.1” (output will be changed based on the installed version) as output looks like the below screenshot. If we do not install node.js, we will be getting an error message. We can check another way. Open “PowerShell” window and we can see the default user path. Here, default user path is “PS C:\Users\Vignesh>”. 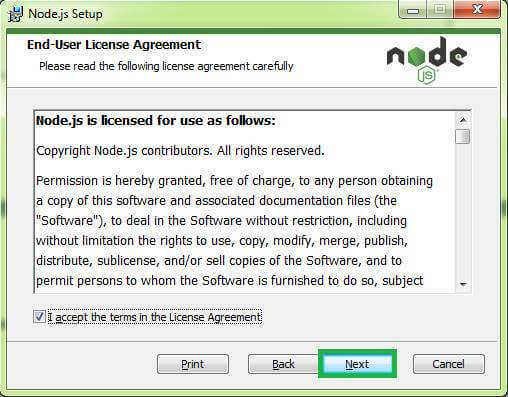 Go to the corresponding path and create “Welcome.js” file for check the node.js. Open the Welcome.js file in Notepad, and add the code “console.log(“Welcome To Node JS”);” in the Welcome.js file, then Save. Now, open the “PowerShell”, type command as “node Welcome.js” and press Enter. Then, we will get the output as “Welcome To Node JS”. We can see the below screenshot below. If node.js is not installed, we cannot execute the Welcome.js file. Go to the node.js installed location path, we can see the “nodejs” folder. Inside the folder, we can see the all supporting files and “node_modules” folder. 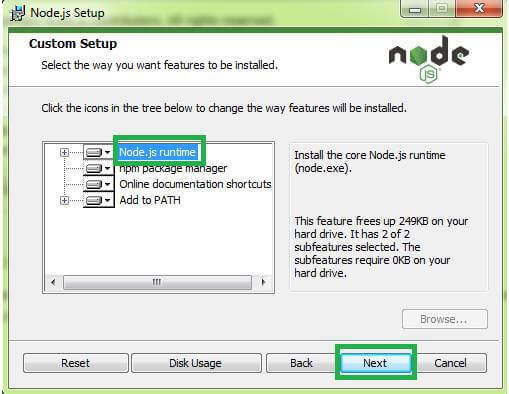 This article has explained how to install and check node.js. It is very helpful to the newly-learning students and developers.